We often hear the same depressing story about the Great Barrier Reef: Australia’s iconic living structure is struggling to cope with a plethora of problems. Deteriorating water quality, rising water temperatures and ocean acidification, and consecutive bleaching events all have their detrimental impacts on the Reef. Despite these multiple large-scale and complex problems, many areas of the Great Barrier Reef still show resilience, which presents a window of opportunity to act. The Hon. Prime Minister Malcolm Turnbull recently announced a $60 million package of measures to address the challenges that face the Reef. The range of activities includes $6 million for the Australian Institute of Marine Science, ourselves and partners to scope and design a Reef Restoration and Adaptation Program (RRAP). This program will assess and develop existing and novel technologies to assist the recovery and repair of the Reef. Dr Peter Mayfield, our Executive Director for Environment, Energy And Resources, said the magnitude of challenges facing the Reef means it cannot be addressed by one organisation alone. “The RRAP will provide a unique opportunity to harness our collective knowledge and expertise across the entire research and science sector,” Dr Mayfield said. The nature of the environmental challenge facing the Reef demands the best scientific minds across a range of Australian universities, research institutions, park managers and charities. These include the Australian Institute of Marine Science, Great Barrier Reef Foundation, James Cook University, The University of Queensland, Queensland University of Technology, the Great Barrier Reef Marine Park Authority and researchers from many other organisations. We have a long history of working together with AIMS and the Great Barrier Marine Park Authority in the Great Barrier Reef World Heritage Area. The Reef Restoration and Adaptation Program takes this historical collaboration to a new level, involving many more national and international partners. Coral reefs around the world support 25 per cent of all marine life and provide essential goods and services to an estimated one billion people. The solutions we uncover through this program could be used to help save reefs around the world. 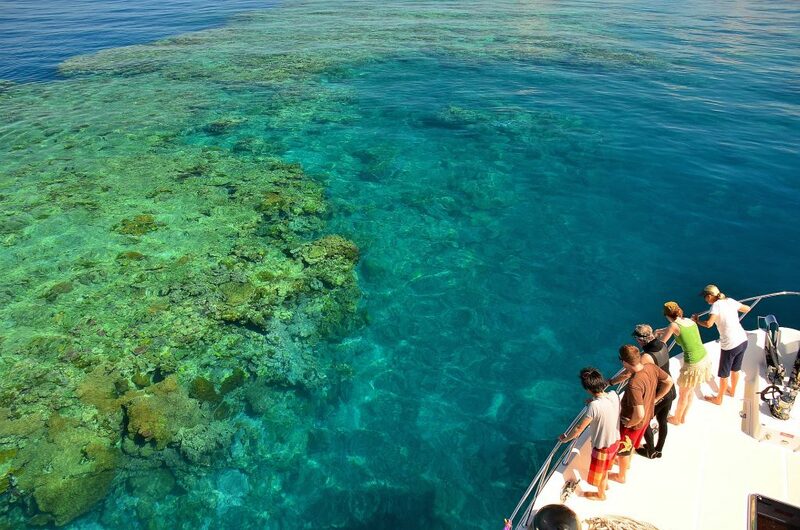 The world of science knows how to prevent the reef from extinction. i believe it’s all tied in with all of us unitedly preventing toxic waste from entering the water systems of Australia.The other day in Cranbourne Melbourne i saw a truck deposit its toxic waste into a farm land besides a creek which eventually will end up in the sea. there will always be those irresponsible businesses which pay little heed to the gravity of their actions. I believe the penalties for such dastardly acts should be heightened. What about grafitti, acts of terror and the likes. they should be classified as acts of treason with punitive legislation which allows the country/state to repatriate these violators. the gravity of pollution is that our EARTH is destroyed by irresponsible companies. Should not the penalty match the crime. i dont recommend that we send the culprits on a one way ticket to the moon. but our justiciable system needs sharpe teeth. I wish to know whether there are coral reefs in the midst of ocean, far away from any land where people live. It will be a good idea to study the health of such coral reefs, so that we could compare all the effects of humans on coral reefs. If some body is lucky enough to get money allocated for such an study. An idea would be to appeal to international scientific community to carry out such research in the areas relevant to them in different countries.